Woohoo! Autumn has arrived!!! Have you started on your Halloween Decorating yet? 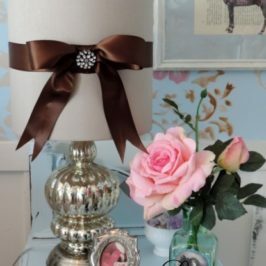 The internet is flooded with creative Halloween decorating ideas right now and all you have to do to become inspired is to turn on your computer. 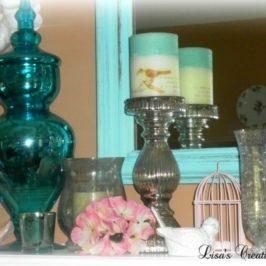 Today I thought it would be fun to inspired you with a couple of Spooky vignettes I created with some upcycled Halloween decor. 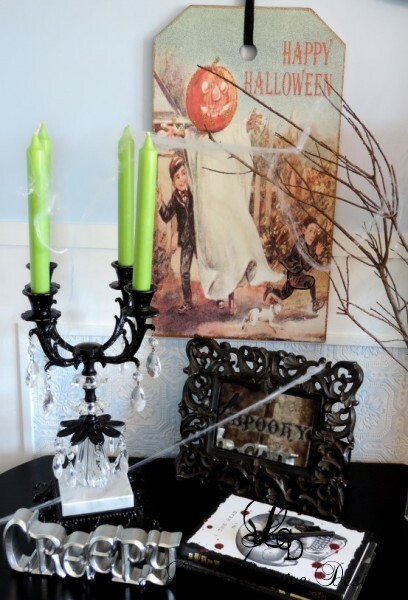 The focal point for this first Halloween Vignette is a Spooky Candelabra I crafted from a vintage candle holder. 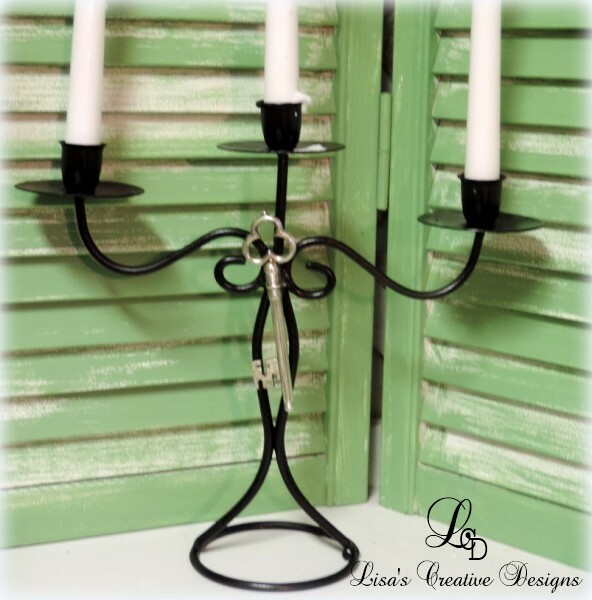 The candelabra was already black but I gave it a new coat of paint to freshen it up. I glued a vintage style skeleton key to the front for added interest. To give it a spooky look, perfect for a “Haunted House” I placed three candles that I partially melted into the candelabra. I love working with old books and when I think of a Haunted House I think of a big old mansion with a library. 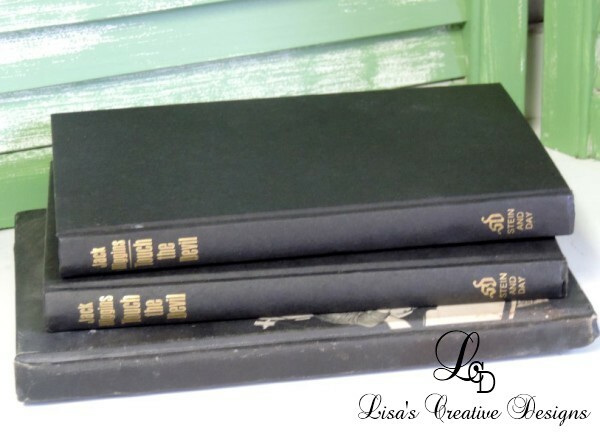 With a little creativity vintage books can become part of your Halloween decor. I ripped the cover off one of the books placed it on top of another book. 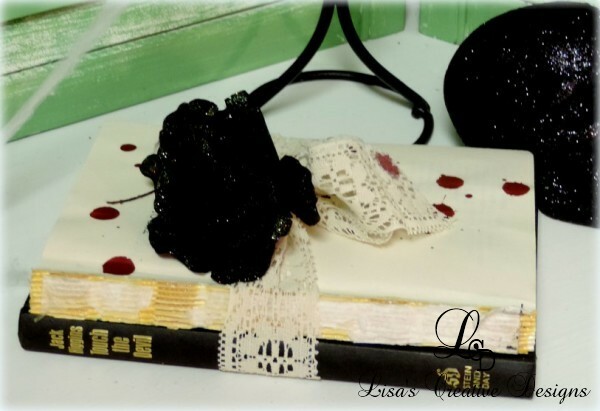 I tied the book bundle with some old lace, added a black silk rose and dripped it with “blood”. Spooky! This upcycled Halloween Book Bundle is perfect for a Haunted Library look. 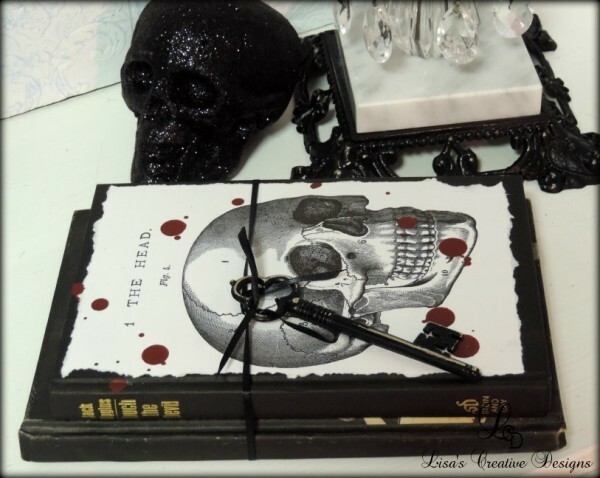 I created another Upcycled Halloween Book Bundle embellished with a vintage skull image, an old skeleton key and black ribbon. This book bundle is my favorite of the two. These upcycled Halloween bottles are mere thrift store finds that I added vintage inspired Halloween labels to. Adding a few dead branches found in your own back yard can be used as simple fillers when creating a Halloween vignette. 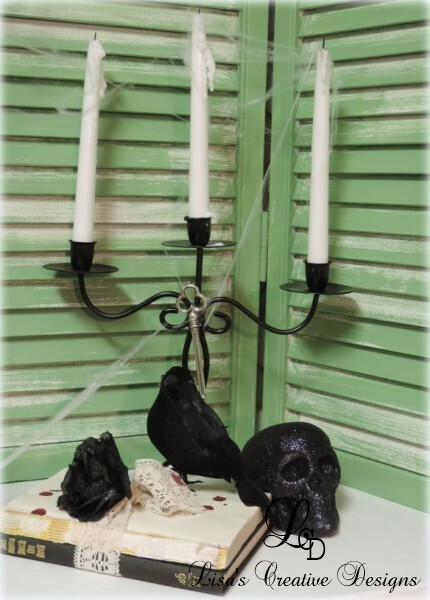 A vintage inspired Halloween plaque is the backdrop for this next Halloween vignette. 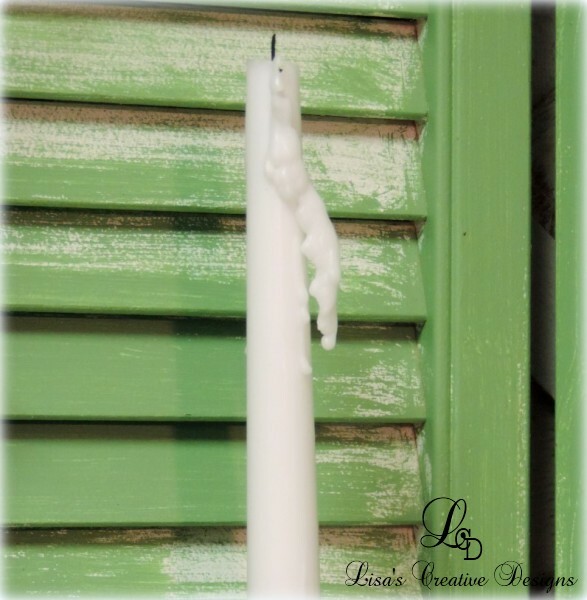 The lime green candles in this other upcycled thrift store candelabra give it a pop of color. This vintage style, aged Halloween mirror has an antiqued look and the ornate frame is great! 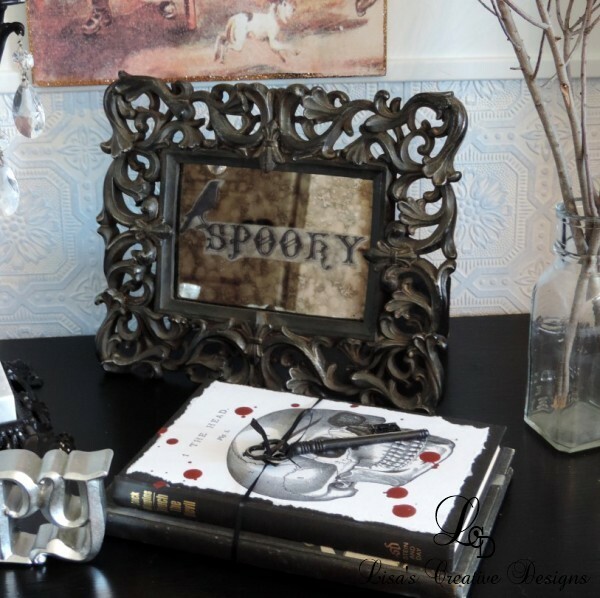 This little mirror can easily sit on a stack of books, a table or mantle dressed up for a spooky Halloween evening. Having a Halloween party? 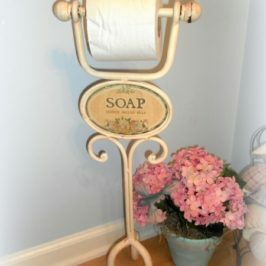 Protect your furniture with upcycled bed sheet slipcovers. Gather few old white flat bed sheets, rip some holes in them. Splatter watered down red paint all over them to capture a look of blood. 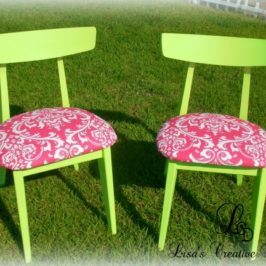 Then lay them over your sofa for a quick and easy slipcover. 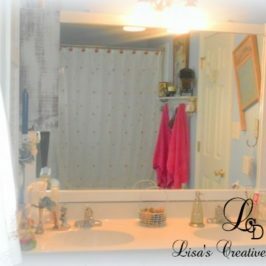 You can also use them as window treatments. If you don’t have any old white sheets check your local thrift shop. 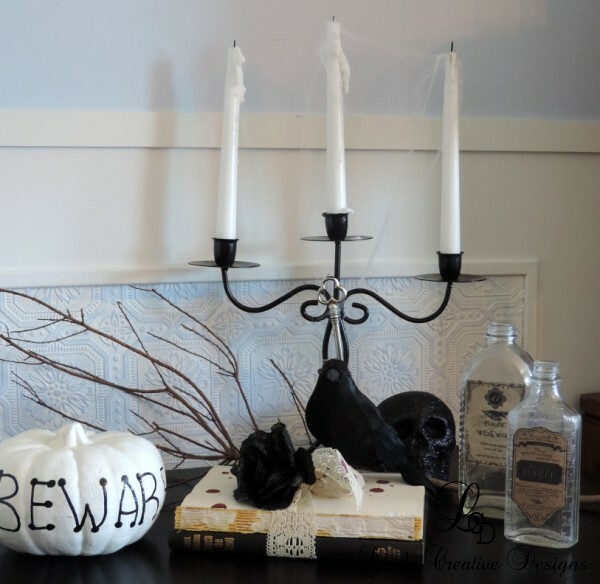 Give your home a Spooky, unique look with your own upcycled Halloween decor and make your home your own. 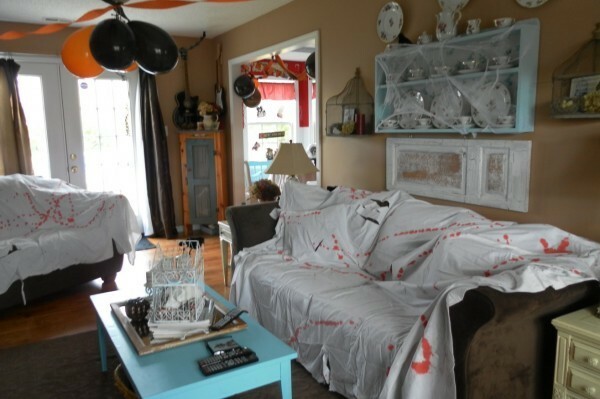 Decorating with upcycled Halloween decor and vintage items can make your home unique for the spooky season.